Once I left my job in 2014, my life became a whirlwind of planes, trains, and automobiles that took me all over the world with my husband. Since then I’ve visited seventy-two countries and six continents; each year traveling a little more aggressively and exploring a little more deeply. I spent only ten weeks of 2017 in Manhattan where I live; the rest scattered in thirty-four other countries across the globe while thick layers of dust collected all of my picture frames and surfaces. Not a single trip was sponsored; my travel is not paid for by tourism boards or advertising departments. Everywhere we went was a personal decision to visit; and either for pleasure or my husband’s job opened a door to go. We’re explorers at heart, and so nomadic by choice. To make it work we don’t own cars, an apartment, or much else aside from clothing. We have no pets, no kids, and very little time with our family and friends back home. We missed more birthdays, weddings, and parties this year than I can count. There are pros and cons to the lifestyles we choose, and this one certainly not for everyone. But I can’t imagine life any other way. I enjoy of every moment spent traveling, but travel is not a vacation to me. It’s not about relaxation or sleeping in, or comfort. I feel a responsibility to explore, taste, see, every I am no matter the weather, language barrier, or obstacles that present themselves. To truly be a traveler means to be willing to take risks. It’s the desire to go into something you know you might not like just to experience it. My favorite destinations have become the ones most outside my comfort zone; the ones were no one speaks English and there’s no where that serves avocado toast. The places that force you to abandon everything back home and take of a leap of faith are the most rewarding. 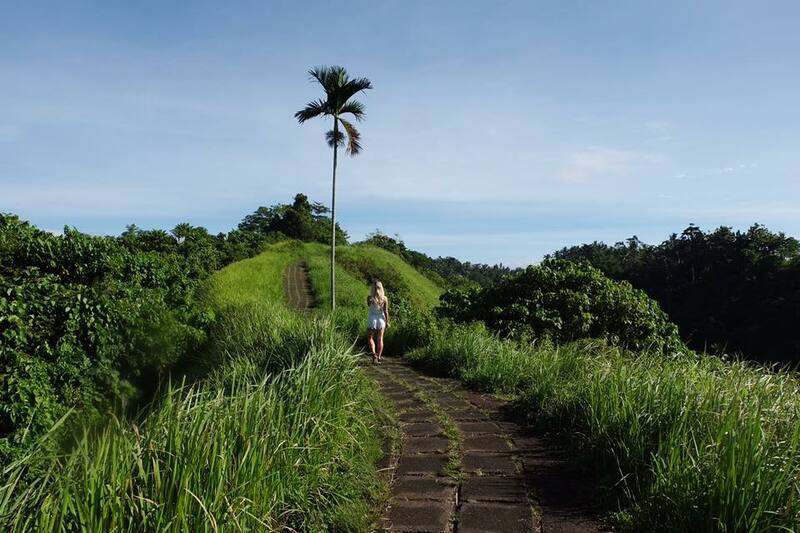 This year I got to trek tigers in the forests of India, walk the colorful streets of Cartegena, and finally experience the undeniable magic of Ubud. I ate amazing (although unrecognizable) street food in Malaysia, and saw Komodo Dragons in the wild after hiking through the jungle. I spent two weeks road-tripping through New Zealand’s natural beauty, and took a seaplane over the islands Fiji, stopping to snorkel at a reef that felt plucked out of Finding Nemo. I spoke French with locals in Guadeloupe, rode a bobsled in Jamaica, took a hundred year old train through St. Kitts, and saw a neon pink lake in Bonaire. I cruised through the Panama Canal, and spotted sloths high in the trees in Costa Rica. I walked through a weekend market in El Salvador and toured the Palace of the Sultan of Brunei. I discovered tropical paradise in the Bahamas and Antigua, sat next to a shipwreck in Turks & Caicos, and sailed on a catamaran through Barbados. I spent a month driving around the entire country of the Germany, and fulfilled a lifelong fantasy of devouring a crispy tarte flambée canal-side in Colmar, France. I toured Auschwitz in stunned silence. I stayed in Pablo Esobar’s former mansion in Tulum. I walked the cobblestoned streets of Kosovo and explored Albania: a country in Europe that is so under the radar and authentic, I don’t even want to tell you about it for fear of word getting out. But not every place I visited was new. Many countries I got to see again. I returned to Singapore to devour an embarrassing amount of dumplings at Din Tai Fung. I spent a week in Paris with my sisters to show them the city of light through my gleaming eyes. I returned to Bahrain to spend time with dear friends, and Holland to connect with my Dutch roots by indulging in apple and bacon panneokoekn. I got to go back to London, and questioned myself yet again why I EVER left. I returned to Australia, this time to the east coast to see Melbourne, Sydney, and Brisbane; cuddling koalas and drinking far too many flat whites. I got to swim in my favorite crystal clear waters of Grand Cayman, and go back to colorful Puerto Rico for the first time in ten years. I even spent some time discovering my own country; getting to know La La Land a bit better, going on a wellness retreat in Austin’s hill country, and being charmed by Charleston. I would have never believed that I’d see seventy-two countries in my entire lifetime, let alone before I turned thirty years old. I’m so thankful for every magic moment this year has brought me, every beautiful place I’ve had the privilege to explore with my husband by my side, and everyone who’s helped showed us around their city. I only regret that this year did not take me back to my favorite place; Africa. But hey - there’s always next year.